Vicky is a social worker and the Senior Vice President at the Delores Barr Weaver Policy Center — an esteemed Jacksonville-based organization working to advance the rights of girls and young women who have experienced trauma, particularly within the justice system. She assists with the development and implementation of the Center’s innovative programs, and advocates for the rights of those who would otherwise not have their voices heard. Vicky is incredibly tactful, thoughtful and intentional in her role — and everyday life — and embodies the kind of grace and wisdom that our team can only hope to one day achieve. 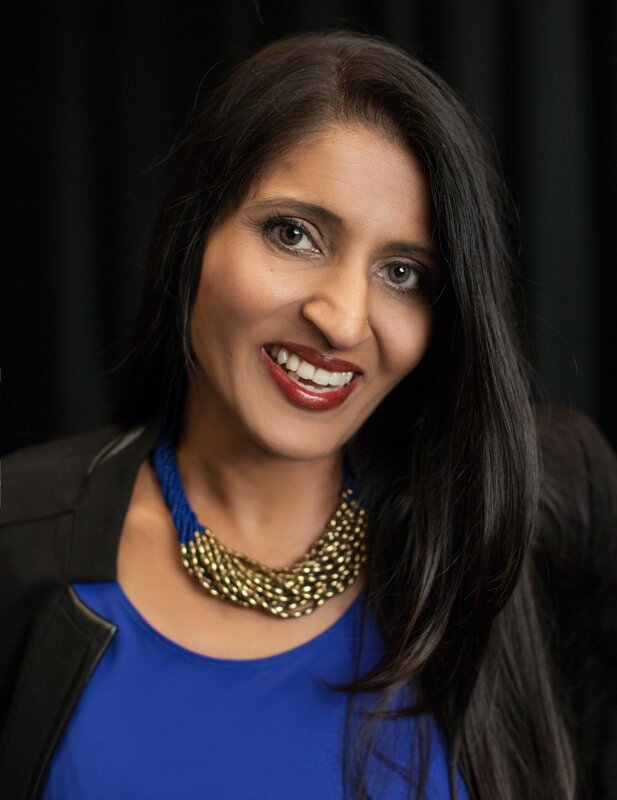 This Thursday, we have the honor of attending TEDxFSCJWomen: Showing Up, where Vicky will speak on a panel alongside other female leaders who are showing up, every day, for what they believe in. Join us - it’s free! My mom. I admire her because no matter what she has faced in life, she continues to be one of strongest, kindest and most giving women I know. Her confidence is a natural part of her being; it’s unassuming, but there, in a way that makes all those around her know everything is going to be OK. She has always taught me to be independent, to be fearless and to achieve my definition of success. As a Punjabi woman, cultural norms try to put you in a box. In her own way, she never pushed me in that box, but taught me all of the important parts of the culture, so that today I am a successful proud Kaur. My mother is a woman who never apologizes for who she is—not when I was a child and not now. She’s taught me there is nothing wrong with being a woman, and I will figure things out just like she figured it out. She arrived from India to England at the age of 18 by herself, not speaking a word of English, meeting the man she was going to marry for the first time, and she created a life. She has sacrificed so much of herself for the success of her children and her family. My success today is because of her sacrifices, gifts and unconditional love. She walked into every situation like she knew what she was doing, and that’s one of the best skills she’s taught me. With my boys—they are 10 and 13. Paratha, an Indian fried bread stuffed with spiced potatoes and peas with yogurt. My mom makes the best ones. Right now, actually, it’d be my mom. She was recently diagnosed with Parkinson’s disease, so I want to cherish every moment I have with her. Though I do not like being in front of the camera now, I wanted to be a Bollywood actress at one time. I handle the day-to-day operations of the Policy Center, which includes providing a lot of supervision and consulting with our team members. There is no typical day, but my role every day is to make sure I’m supporting the people I have the honor to work with. I also work with the president and CEO to implement the strategic direction of the Policy Center. No two days are alike, but a common role I play regardless of the meeting I’m in is that I listen carefully and often challenge what is being said. I really believe what’s right is right, and sometimes that means doing things differently, which is often the more difficult route. Doing what is right for the girls we serve is my bottom line. Advocate for girls, advocate for staff, advocate for someone in lockup, advocate in the courtroom. When I am advocating in the courtroom, it’s about making sure people who are present understand that what’s happening for our young people is a result of their life experiences. If we continue to push them into the system, it will negatively impact their mental health. If we can provide alternatives spaces of love and connection in the community that are more supportive, and respond in ways that are kind, then we will probably get a different outcome. Instead of our youth going deeper into the system, we would see them rising up and changing the world. The resistance to doing things differently in this work I think comes from two things: 1) locking up girls is easier for the adults, and 2) if we do the work differently, then the adults would have to own that we failed them in the first place. What led you to choose a career in social work? I decided I wanted to be a social worker because a social worker saved my life. I remember thinking I never wanted another girl to feel like I was feeling, at that point in my life. I was introduced to Beth. Beth met with me once a week and I slowly started to feel better. I was only 16, but I knew then that this was what I wanted to do for the rest of my life. My dream became that even if I could support one girl for one minute, then it was all worth it. I saw Dr. Lawanda Ravoira, the CEO and president of the Delores Barr Weaver Policy Center, presenting on human trafficking and the impacts of it in Jacksonville. I was so impressed that her presentation didn’t blame women or girls and that she held perpetrators of violence accountable for their actions, that I sent her an email and asked if she would be willing to meet with me. Luckily, Lawanda agrees to meet with everyone at least once. I introduced myself, shared my resume, told her how impressed I was with the incredible work she was doing and offered to sweep the floors of the Policy Center until she had an opening. I didn’t need to sweep the floors, because she had a position and I was hired. Every day I feel blessed to work for an organization committed to positively impacting the lives of girls, young women and those who identify as female. I guess you could say I have my dream job. What’s most prepared me is being able to combine my social work education and my exposure to feminist theory. The combination of these two allows me to see the impact of trauma within the lens of how culture and community impact women and girls. The position I have now is to work around the juvenile justice system, and this is something I didn’t know a lot about before working here. In general, I had the understanding that the juvenile justice system was set up to support our youth and provide help. Yet, when I go out and visit the various residential lockup programs, I see they are actually retraumatizing them. ﻿How do you manage your workload? Are there any tools, tips or tricks you utilize? People always come first. The people walking into my office come before anything on my screen, whether it is a girl who has come to visit, a staff member or one of our staff’s children or family members. Always remember to put people first, and remember what’s important to the people on your team. If you’re supervising people, remember to think about each person and what they shared with you that day. Think about what you need to say to them in order to create closure. It could be they told you their child was sick, so make sure you text them and say, “Hey—just thinking about you, and hoping you and so-and-so are feeling better.” Or, if you know a team member was going to have a difficult meeting, follow up and ask how it went, or say you hope the meeting went well. Building that connection means so much more for when you need that individual to step up—and they always will. How do you practice staying composed in such an emotionally charged profession? This is simply my way of being. I know people say “work-life balance” and “leave work at work,” but this is my passion. This is how I believe people should live their lives. A core value in my faith is “seva.” Seva is servitute; we believe in living a life of servitude. For me, my seva is to girls and young women. I don’t know how to live my life any other way, but to ensure I live a life of seva and connection. Working on and testifying in a federal court case. A lot of times, you feel how much change takes time. Though the work on the case was long and challenging, the outcome immediately changed someone’s life in a really positive way. The positive outcome of this case is now being used as case law in other cases to positively impact the lives of other young women. I wouldn’t look at the world the way I do if I wasn’t a woman, and I wouldn’t be the powerhouse I am if I wasn’t a woman. I love being a woman. The nonprofit world is vastly made up of women, and it’s also an extremely low paying (or unpaid) industry. We need to recognize that just because it’s a “nonprofit” doesn’t mean positions don’t deserve to be paid. For as long as we are in the position where most of the employees who work in the nonprofit sector also qualify for the services offered by the nonprofits, we are never going to be at a place where women are getting equal salaries. Most service-oriented positions are filled by women, so as individuals in the nonprofit world we need to advocate and say what we do is just as valuable as the for-profit world. We, as leaders of nonprofits, need to ensure our staff can not only live off of what they are making, but actually save for their futures. The nonprofit world is vastly made up of women, and I have not seen that change. Unfortunately this is because people in this industry are often grossly underpaid, and sometimes even qualify for nonprofit and government services. Until we look at how government funding is provided, it will continue this system where the people who give money do not value the work enough to pay fairly and adequately for the work. We need to say, “If you want us to do this work, you need to pay us this much.” It’s not only that the people who receive the services are worth it; those who are providing the services are worth it. Generally, it’s those times I have had to pause and look internally to see what it is I need to learn about myself. I have to ask: “Why is this bothering me so much? Why can I not move forward? Why is this so difficult for me to do?” The answer to these questions is what’s actually the obstacle. Whenever we’re experiencing something really big, what we think is never really the issue; it is the piece that triggers something inside of you that makes it so difficult. It’s so important for us all to pause and do that deep internal work, otherwise tomorrow when a similar issue arises, we’ll be in the same place. At one time, I was asked to supervise a new team member with whom I was having trouble. I had to pause and think about my struggle with them. I asked myself, Why do they trigger me so much? I realized I had to really pay attention to that because if I didn’t, I’d be setting this person up for failure. As a supervisor, going into that relationship without addressing my struggles or my biases wouldn’t be fair for the person I am supervising. I had to identify what my perceptions were about this person, and then go and have a really honest conversation with them about it. I had to own my stuff. Remember to breathe. No matter what we are going through, or what we are trying to achieve, we always end up holding our breath—literally. If we remember to breathe, whether or not we are successful, we will be OK. And if we do breathe, our attention focuses on something else, our body is more relaxed and we start believing we can make it through whatever we are facing. Sometimes that’s all we need. If I think about all of the toughest moments in my life, and what helped me get through them, it was remembering to breathe. TEDxFSCJ features presenters who directly or indirectly impact Florida State College at Jacksonville and the Jacksonville community, allowing locally-driven ideas to be elevated to a global stage. 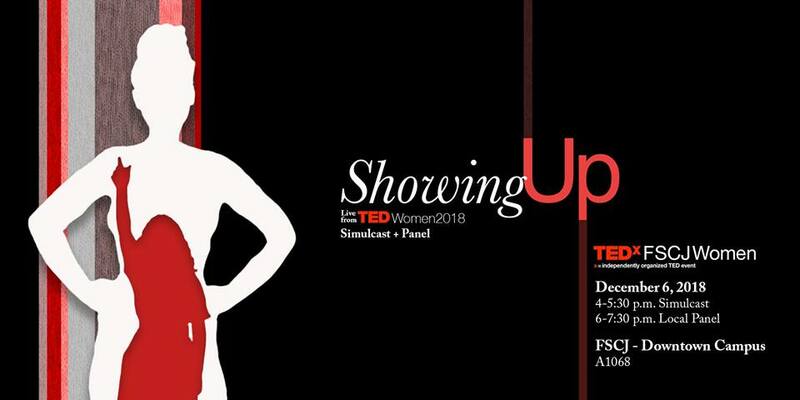 Learn more about TEDxFSCJ (and say hello to the BWH team) at TEDxFSCJWomen: Showing Up, a FREE simulcast and live panel event on Thursday, December 6, at FSCJ-Downtown.